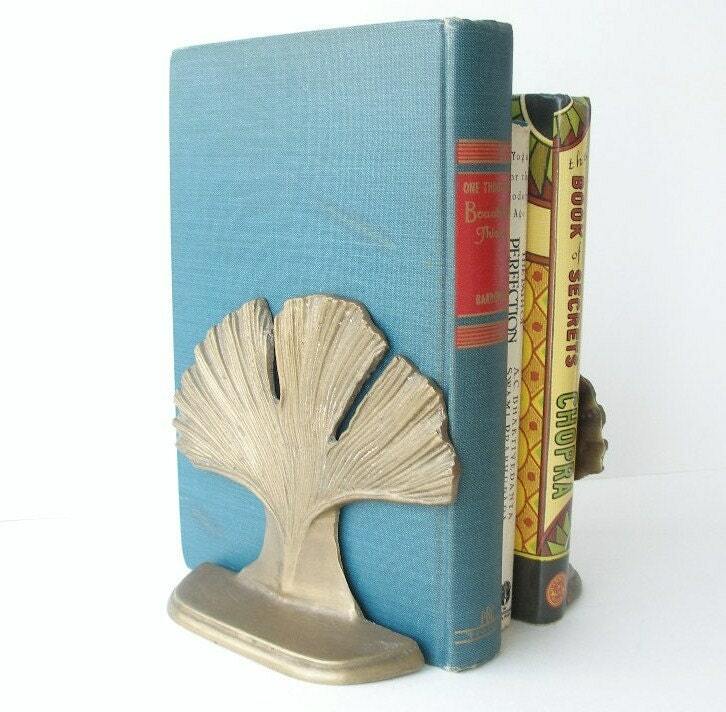 Following on from my last post on the ginkgo leaf , take a look at some lovely hand made items from Etsy.com that have used this leaf as inspiration . 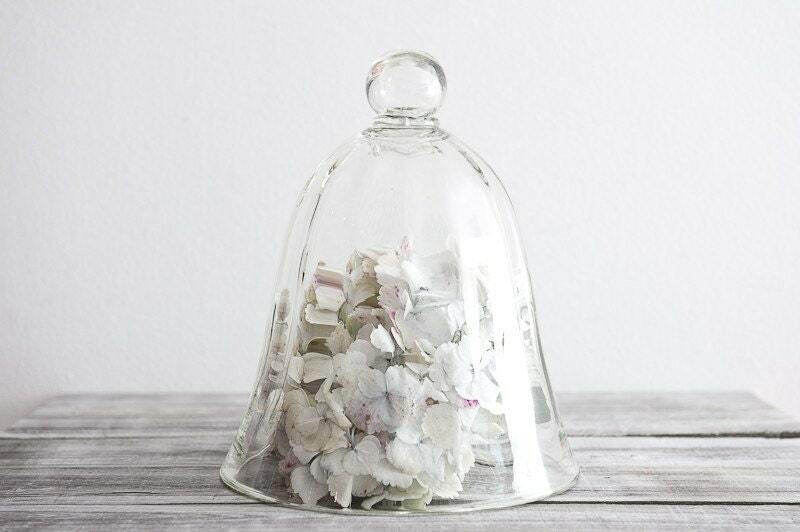 These item makes gorgeous accent pieces for your home. 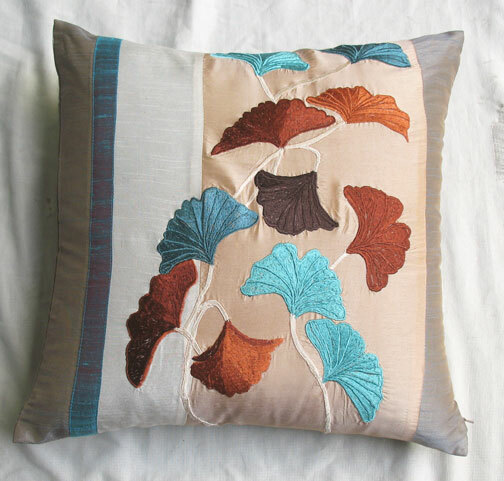 The newest item in our store is this lovely throw pillow embroidered with ginkgo leaves. 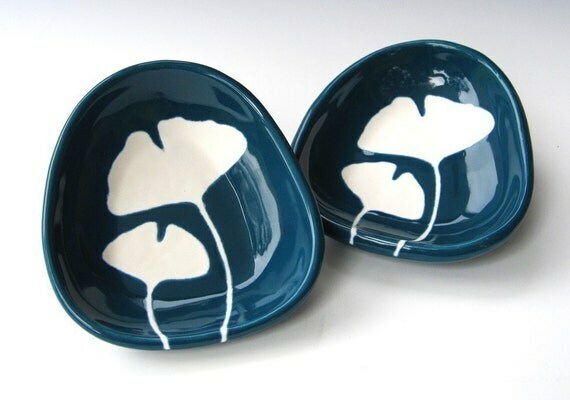 I love everything Japanese from their food to the simple elegance of Japanese decor.One of the many symbols used in Japanese decor is the ginkgo leaf. 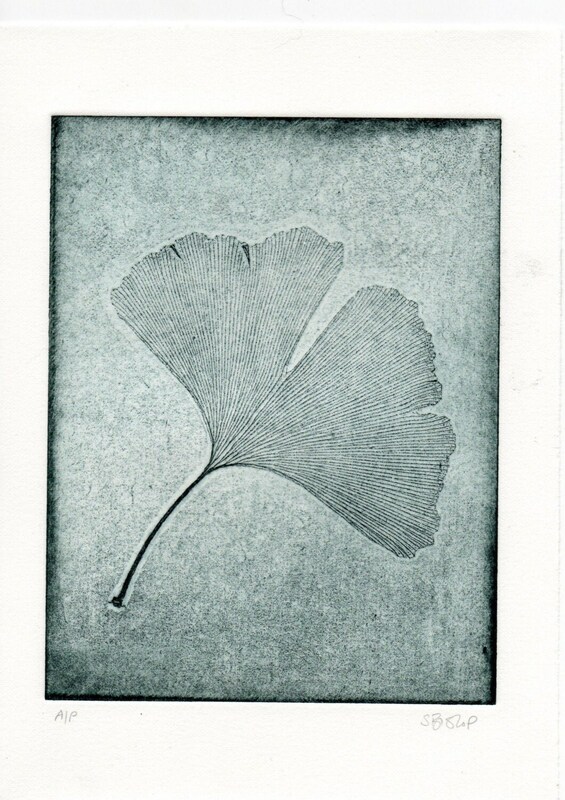 For centuries, the people of Japan—and of the world—have been inspired by the beauty of the ginkgo tree and its unusually leaves. 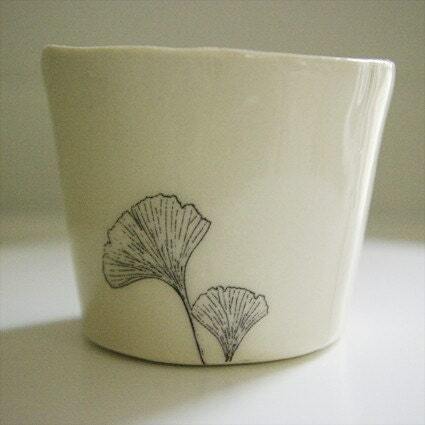 The ginkgo leaf is a popular motif in Japanese art, ceramics, textiles, family crests, symbols or logos. In the East, it is considered a symbol of longevity, hope, resilience and peace. The tree itself is know to live for over 2000 years. This cushion cover is made from art silk fabric paneled and elegantly embroidered with ginkgo leaves. 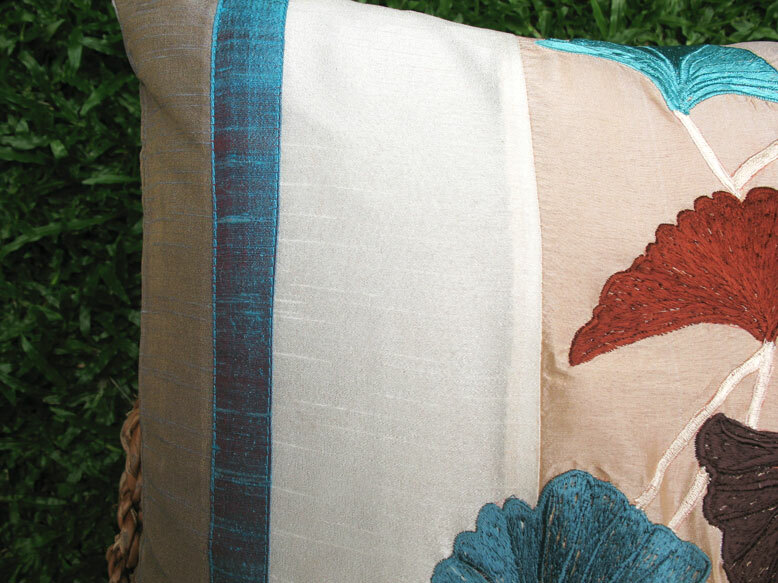 The fabric is in pastel shades of peach, gray and white with a teal blue silk band , the leaves have been embroidered in shades of brown and blue. It has also been finished with our signature invisible zip. The size is 16X16 inches but can be custom made in the size you require. I would like to dedicate this blog post to Japanese people even as they recover from disaster. My heart and prayers go out to them. This leaf is symbolic of who they are as a people and I wish them hope and blessings at this time. “My houses are passions,” says Cher, whose stunning duplex in LA was done by interior designer Martyn Lawrence-Bullard in creams, ivories, whites, and buttery beiges. I love this combination of colors and the a zebra-print rug and cushions that just ehances it all. 'Decoration is madness' says Helga de Silva Blow Perera from Helga Folly in Kandy , Sri Lanka. Hidden away in the Hill Country this strange and wonderful place was once her private home and is now a Hotel ...well Helga refers to it as a anti-hotel. 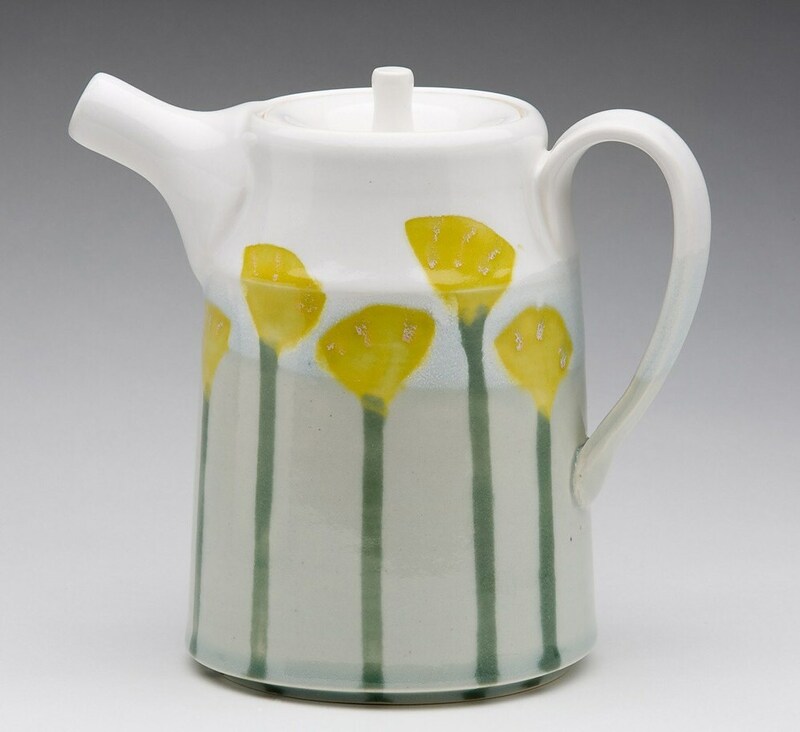 Helga's folly takes on its owners personality- bold and eccentric. The large, sprawling building painted in crimson red stands out like a beacon on the sprawling hillside . The inside is a explosion on the senses. 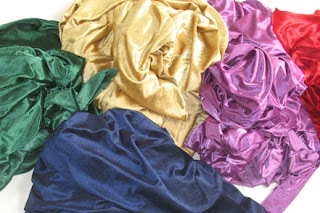 Brightly painted figurines, mural, dripping candle-bras, rich hues, gorgeous silk cushion covers every surface. Each room has it's own style of decor and is something to discover. But Helga's folly is not for everyone the statues and wax candle bras makes it a bit eerie, it is not for a place for fainthearted. Love it or hate it, it is truly unique place. Helga's folly - a crimson beacon on a quiet hill. Lounge are decorated in vibrant hues. Family portraits and mirrors adorn the walls. Every one of the 40 rooms has it own distinctive decor. Intricately ruffled, gorgeously feminine and perfectly elegant decorative throw pillows from Comfyheaven.com . They come in rich hues and two designs. Charcoal gray and teal blue silk taffeta cushion cover with tiny rosettes. Red and amethyst purple in circle design. 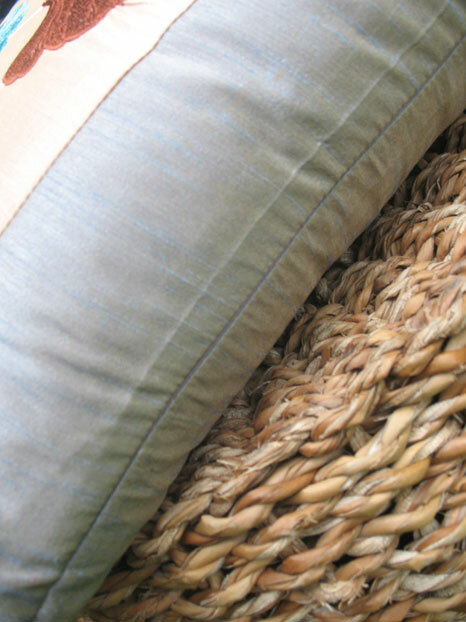 These accent cushions will adds instant wow factor to your bed room or living room. I love things on walls , not haphardly arranged things but when someone makes a bit of wall the focul point with artistically arrange frames , plates or some other item they find interesting. ‘Metroquadro’ is a collection of dinner plates, bowls and dessert plates that are lavishly decorated on the outside , they are placed on the wall using wall hooks and brakets. A simple idea ? yes! I can image we can all do something like this. I can just imagine my sniffing around antique shop looking for the perfect plate :) After the baby perhaps ! I love these images I found on Architectural Digest of Elizabeth Tayl ors journey to Iran. These two images are my favourite. Elizabeth Taylor wearing a chador , the traditional dress of Iranian women at the Shah Cheragh Shrine in Shiraz. In Shiraz , a city know for its for its poets and philosophers and monuments. I love the design on walls of this building . 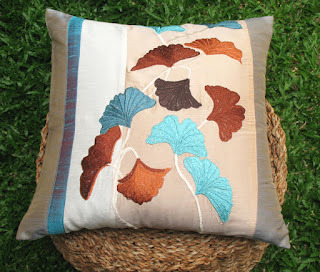 I have 6 pieces of these gorgeous silk cushion covers embroidered with a nature design consisting of birds and leaves on sale! 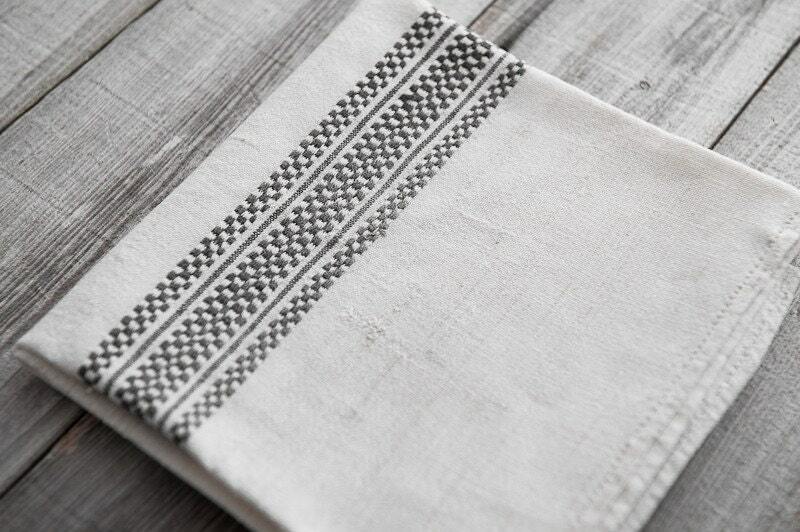 Usually priced at $25.50 If you buy more than two pieces you get a further 15% percent discount. Love this interior by Spanish designer Jordi Vayreda. Take a look at the rest of this beautiful home at Inspiring Interiors. I love the way mint green and baby pink cushion covers have been used to highlight and brighten the home. Recently did a personalized name pillow for one of my favorite little people , my friend Olan's son Benjamin. We did it in nautical colors of red and navy blue and used a navy fabric with little anchors on it for the letters. She sent me a picture of how it looks in his bedroom . Get your own personalized name pillow for your bed room , living room or children's nursery. Contact me at http://www.comfyheaven.com or our etsy store. 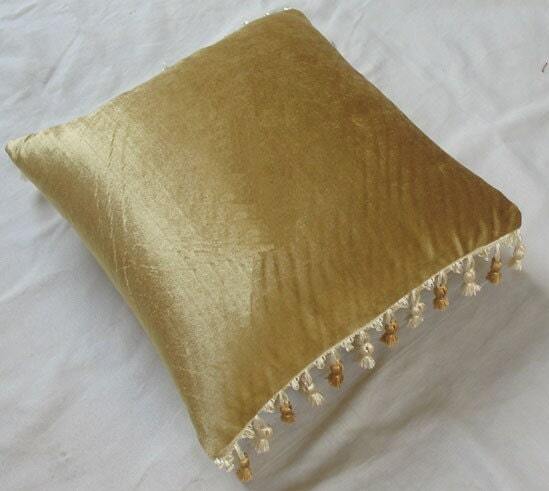 We will work with you to customized this pillow cover with your choice of colors and evend design. Create instant luxury and elegant to your to your living room or bedroom with velvet. 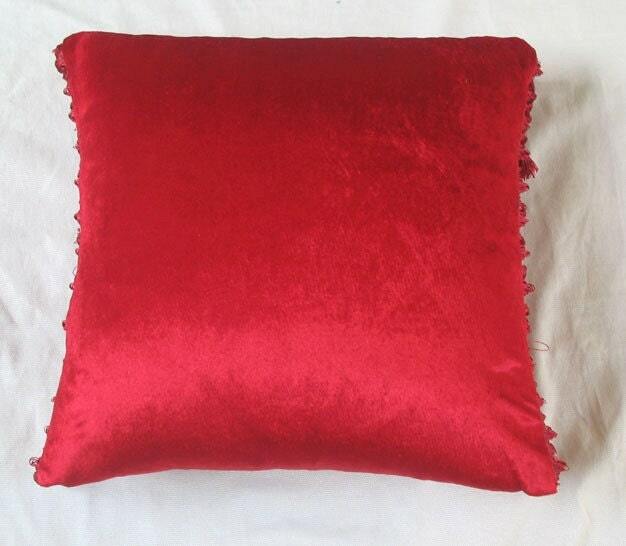 On a recent trip Thailand I was able to get some lovely velvet fabric in vibrant tones to make these decorative, luxurious throw pillows. 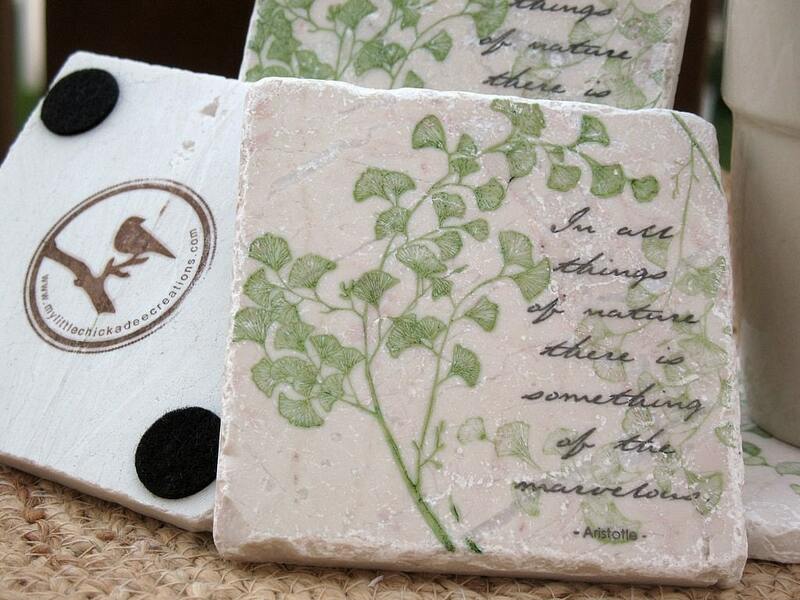 Take a look at the newest additions to our etsy store. 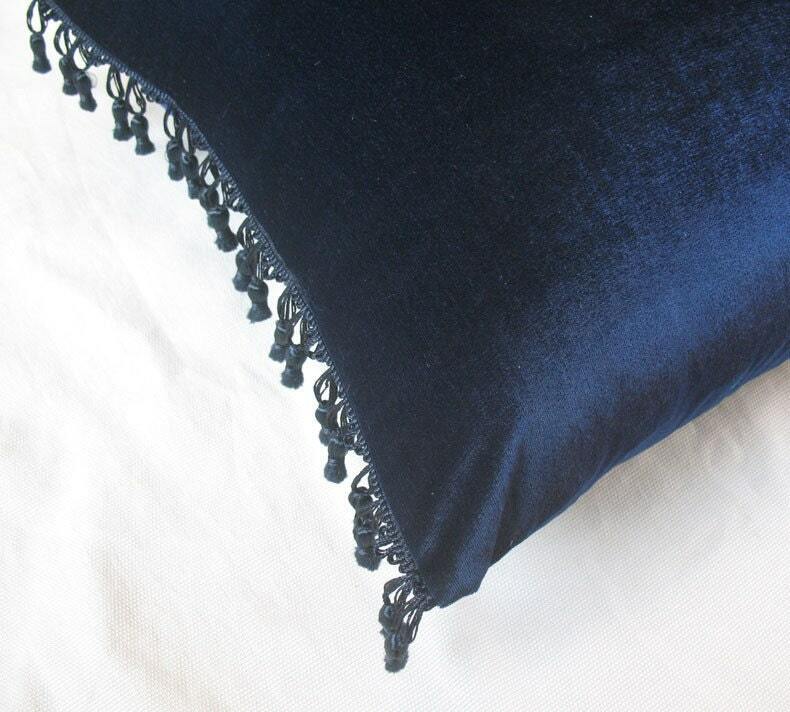 Navy decorative pillow with tassel detailing. 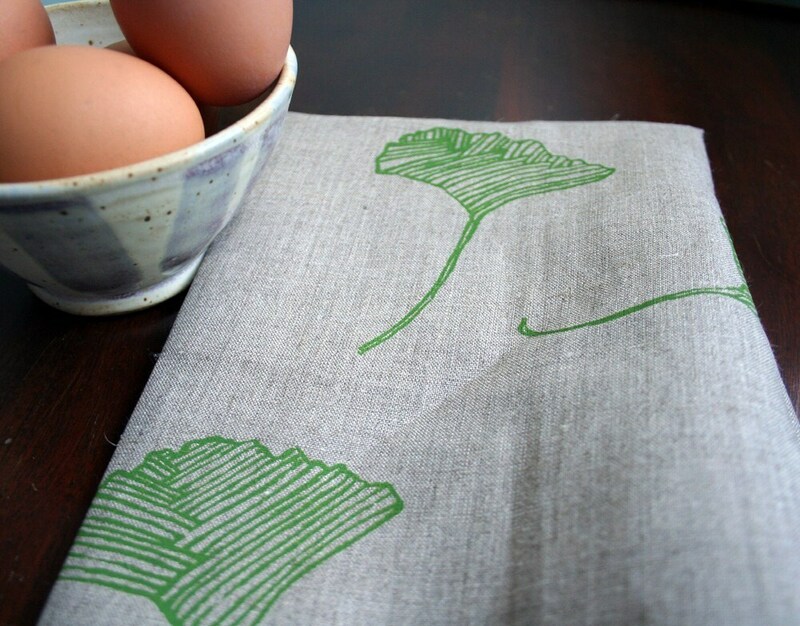 When I came across the Old Red Hen on Etsy I was amazed by it's simple , elegant charm. 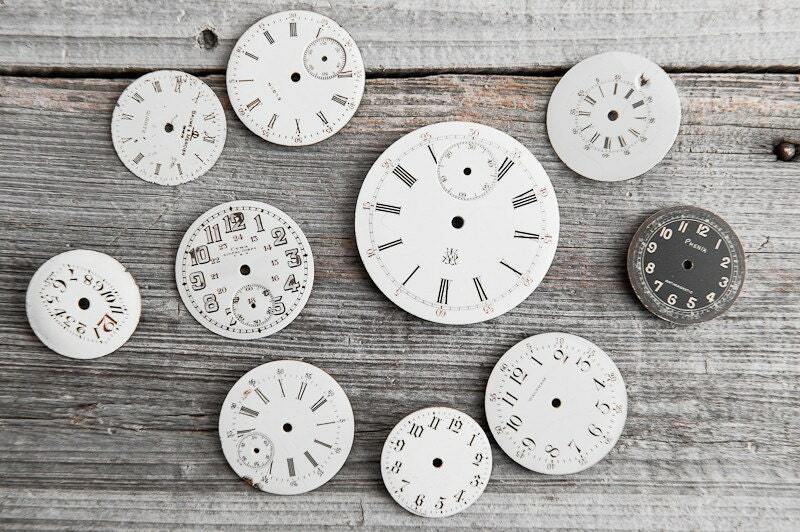 Full of vintage finds, timeworn treasures and interesting relics. 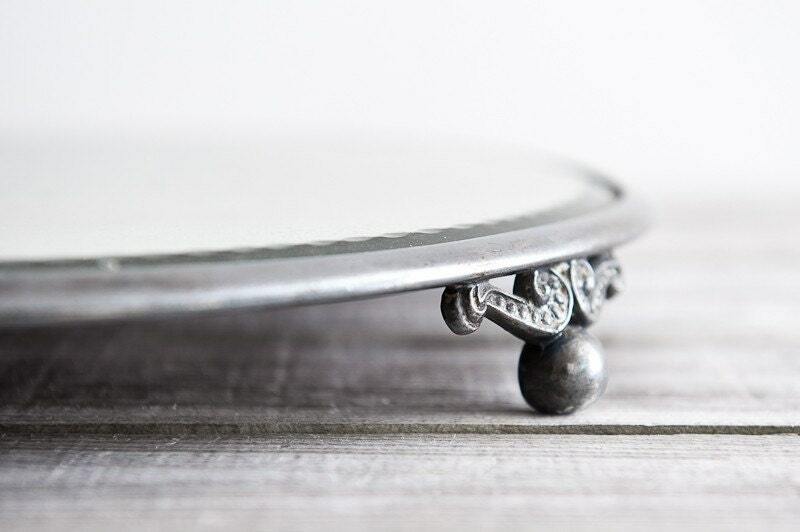 You will not tire of looking for something special to add to your home.